A before and after of a different kind today. 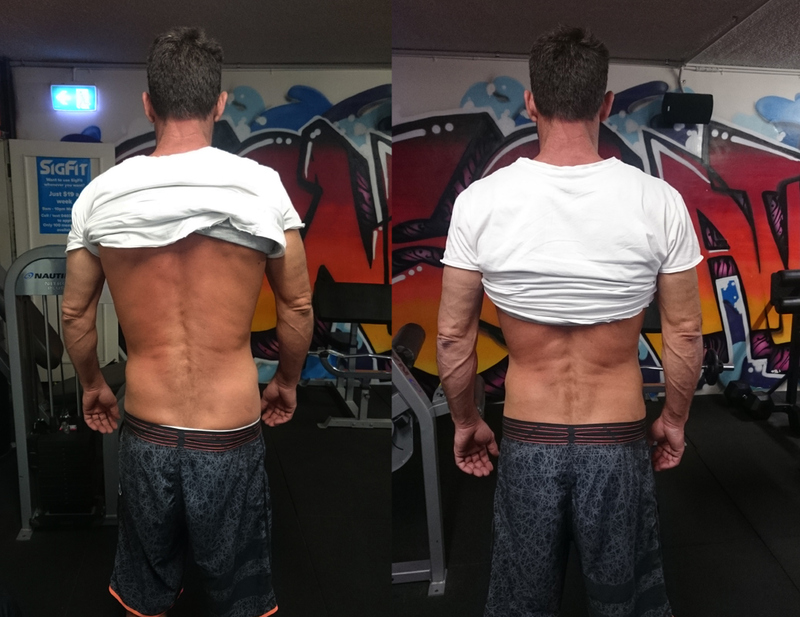 Marc came in today as his back had flared up in work. He works as a carpenter with a lot of roofing work an heavy. awkward lifting. 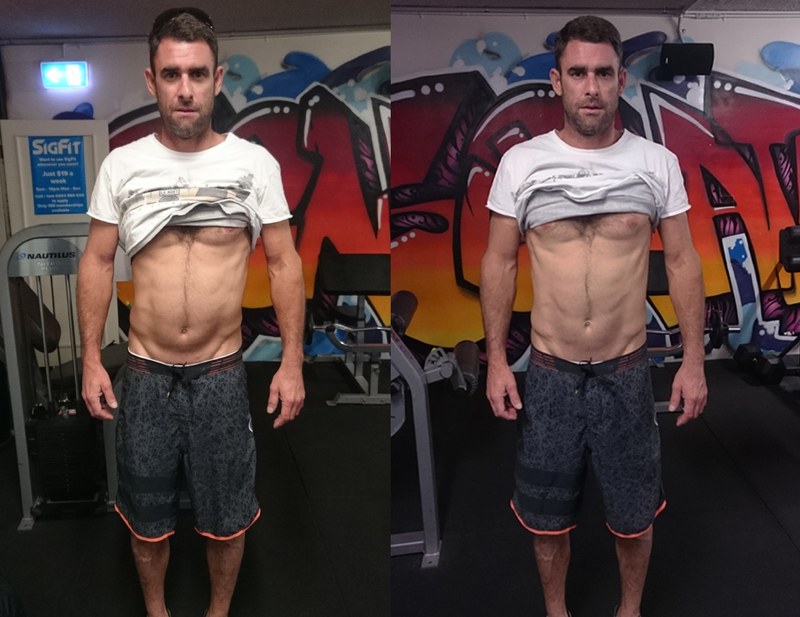 His back had started to feel tight at the end of last week, got tighter over the weekend and then today finally let go into spasm. He had to take two pain killers and a anti-inflammatory to be able to get in the car to make it to me. Ten minutes and 2 simple exercises later – with no chiropractic style adjustments or fancy massage techniques – and he can stand up straight and walk pain free. Its not magic, its just well refined and practical knowledge of what to do. You can see in the pictures on the left he is buckled towards his left leg and hip. In the pictures on the right, you can the back is sitting nice and straight again.